One of the most fundamental necessities of a potential leader is the ability to communicate a political message to as broad an audience as possible. The construction of political discourse is the life-blood of the political process given it enables actors to persuade the electorate to lend them their vote. The ability to orate (deliver) a speech facilities this process, but also the rhetoric (content) of a speech must be appealing to the broader as well as immediate audience. As the speech travels into the broader demos, the orator may expect his/her impact to be felt amongst supporters and non-supporters alike. 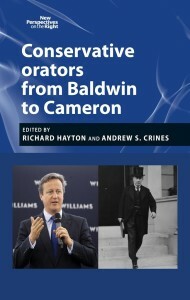 How these oratorical and rhetorical techniques function are explored in some detail in the edited collection Labour Orators from Bevan to Miliband, recently published by Manchester University Press (along with its sister volume, Conservative Orators from Baldwin to Cameron). See below for a special discount on both these titles. The current leadership election is, of course, no different. The core strategy of each of the four candidates is to leave a positive impression upon the electorate, which in this case is the Labour membership and associates. The four contenders each have distinctive styles which they have used to try and convince the electorate to nominate them as their first choice. For example Liz Kendall has set out an empirical argument of how she believes Labour needs to change in order to address the concerns of the broader electorate concerning Labour’s electability. It is driven by the pragmatic need to embrace more closely the centrist voter, whilst arguing certain tenets of Labour principle may need to be sacrificed. Andy Burnham, in contrast, presents a more centre-left vision which accepts some changes are needed, however the core thrust of what comprises Labour values are vital in informing the future renewal strategy. This is similar to Yvette Cooper, however her style of delivery has a forceful edge which, potentially, could be problematic should she become leader. Finally Jeremy Corbyn’s rhetorical style aims to place a more fundamental interpretation of Labourism at the heart of Labour’s future, with a staunchly value-driven approach. Of these contenders, both Liz Kendall and Jeremy Corbyn offer a distinctive alternative to the voters. Each have an entirely different vision of Labour, and how it can appeal. Burnham and Cooper each speak to the renewal strategies outlined by Miliband, however their distinctiveness comes in which policies they believe are deserving of the greatest attention. 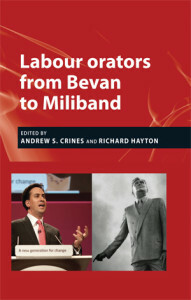 Ultimately, these Labour orators are each striving to make an impression with asymmetrical results. Kendall’s campaign has not received the support which the Blairites may have been forgiven for anticipating. Similarly, Cooper’s campaign has not gained the momentum which a long-serving Labour cabinet member may have expected. Only Burnham and Corbyn have garnered sufficient prominence within the campaign for them to be in with a realistic chance of securing the top job. However, it must be remembered that second preferences are key in determining the outcome, and so it would be foolhardy to rely upon a single measure for anticipating the outcome. Despite this, Corbyn’s oratory has been most effective because his style inspires his audiences to listen. His is an epideictic style of oratory, with emotive rhetoric. Furthermore, he is supported by figures such as Owen Jones and Tony Mulhearn, which positions his rhetoric within a traditionalist left position. In concert with the £3 supporters, Corbyn’s momentum has developed to such an extent that it challenges the mainstream. Looking at Labour oratory more broadly, it is unsurprising to find that Corbyn’s rhetoric rests within the Bennite tradition. The Bennite tradition believes in advancing socialist causes through direct action outside of the Parliamentary route. During the Benn period, this was through groups like the Campaign for Labour Party Democracy who, following the abolition of the Proscribed List in 1973, were able to mould the CLP’s towards a more radical interpretation of socialism. This is a very different tradition to Labour’s moderate left (such as Aneurin Bevan, Michael Foot, Barbara Castle), who use the institution of Parliament to drive social change and promote a more egalitarian society. Furthermore, the Corbynite perspective offers a very different interpretation of political power, which sees electoral victory as secondary to ideological cohesion. This conception of power is rooted far more within the demos, which believes the capacity to change society rests within the power of protest. This contrasts with Bevan, Foot, Castle, Burnham, Cooper, and Kendall’s belief that to change the direction of society towards equality necessitates political power expressed through the Parliamentary system. As a consequence, although Corbyn’s message may be appealing to the current Labour electorate, it is unlikely to resonate with the broader electorate because it doesn’t include them. Corbyn’s conception of power is alien to the centrist voter who infrequently engages within the political process. However, given Burnham, Cooper, and Kendall each embrace ideological and rhetorical perspectives which have more successful traditions within Labour history, they have greater potential in making Labour electable again in 2020 or 2025. That said, whoever emerges as leader will have a very difficult five years ahead if Labour is to begin making its way back to the number of MPs required to secure a majority. 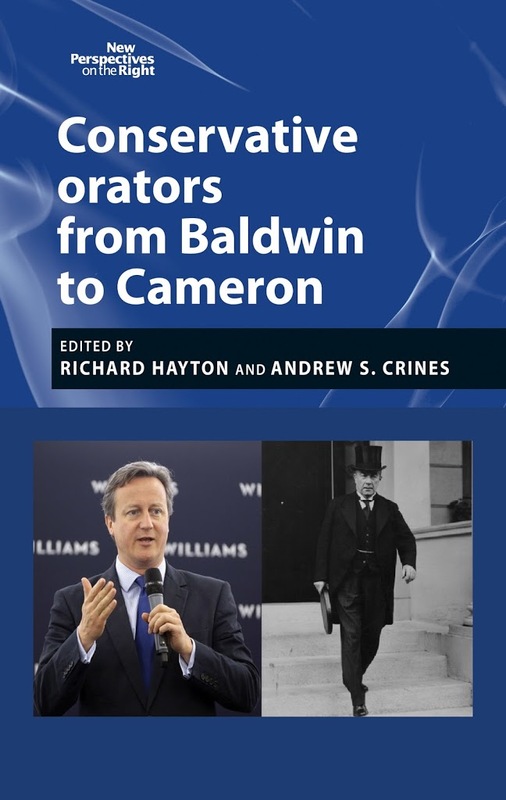 Purchase Labour orators from Bevan to Miliband and Conservative orators: From Baldwin to Cameron together, and get one FREE! Simply contact our distributors on +44 (0)1752 202301, or email you order details to [email protected], quoting the discount code OTH548, expires 30/09/2015. Category: International Relations, Politics	26 Comments.